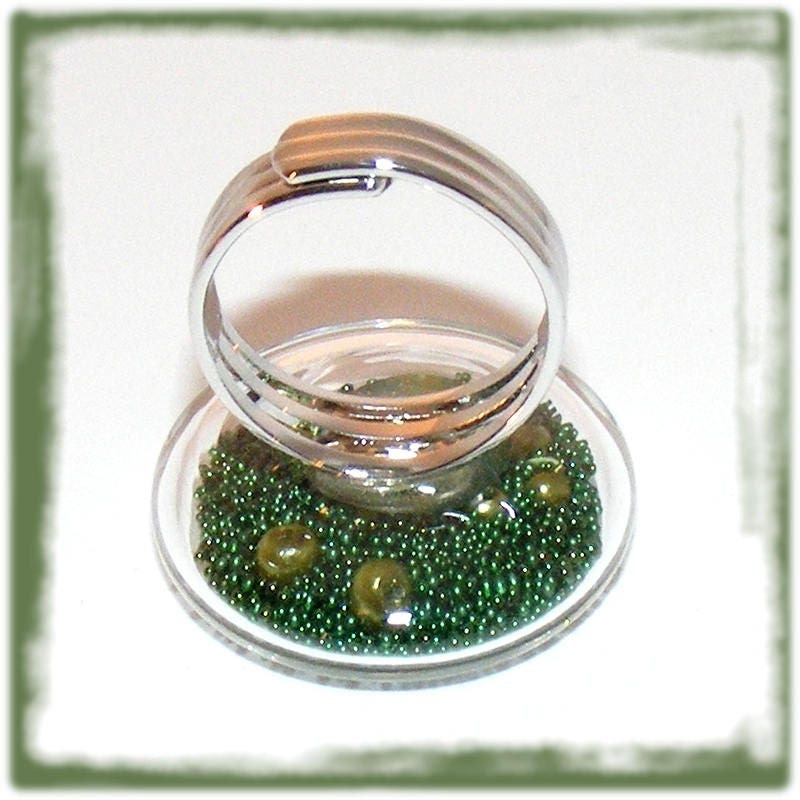 Unique glass globe ring filled with micro-beads, flat disc opaque emerald green, pearly beads 3 mm sequins and small heart. Material: Alloy silver color high quality and ring adjustable flexible finger. 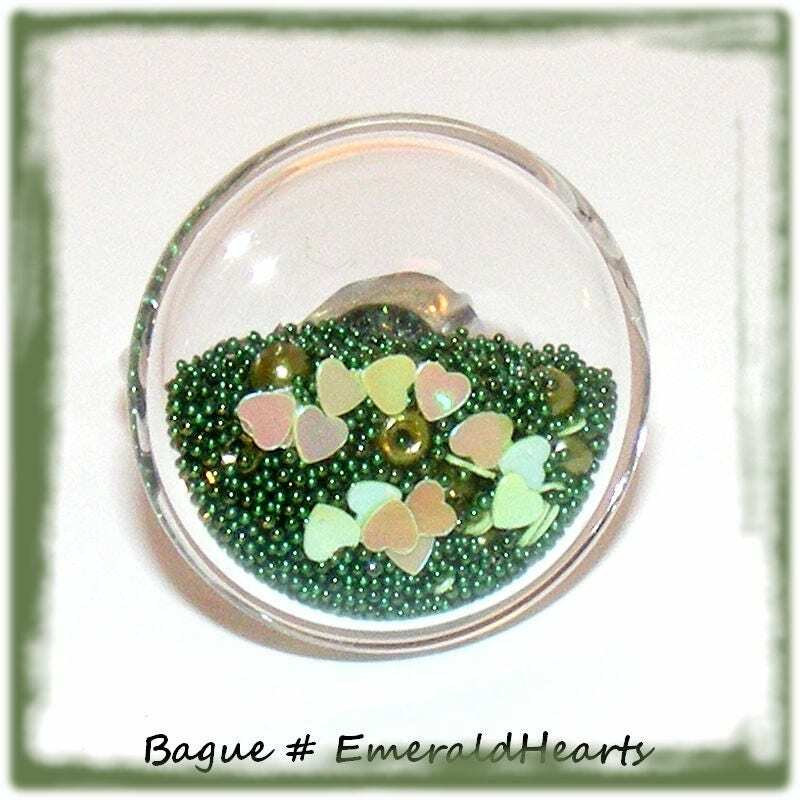 The globe is filled with micro beads opaque emerald green, pearl beads 3mm and sequins in the shape of hearts. 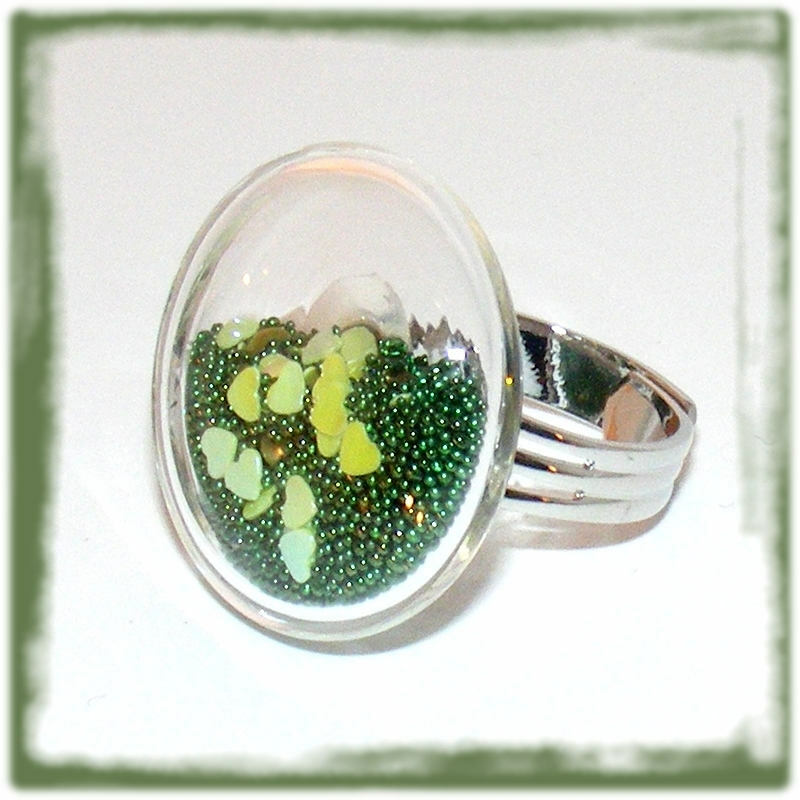 Everything moves according to the movements of the ring with a soft noise.